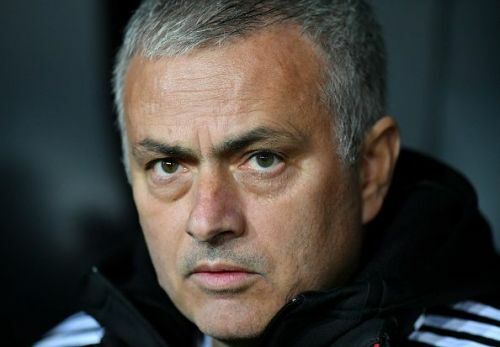 With the January transfer window approaching fast, Jose Mourinho could finally be set to have a busy schedule owing to the transfer activities the club are expected to carry out next month. Manchester United have been linked with a host of players prior to the commencement of the transfer window and it remains to be seen how many of those actually stand true. Without further ado, let's have a look at what the rumour mill has churned out about Manchester United today. Tottenham defender Toby Alderweireld dropped a huge transfer hint on social media on Saturday, sending the United fans into a frenzy. The Belgian has been linked with a move to Old Trafford ahead of the winter transfer season. With the rumours already linking him to Manchester United, Alderweireld decided to add fuel to fire by his recent social media activity. He strangely liked a tweet by a fan suggesting which five defenders United should sign in January. Alderweireld's Twitter activity is being viewed as a positive sign ahead of what could be an imminent move to Manchester United next month. Manchester United manager Jose Mourinho has shortlisted three defenders in case he fails to sign Kalidou Koulibaly in the next month. Napoli have slapped a price tag of £100m on the 27-year-old defender, with the Red Devils said to be keen for signing him as a solution to their defensive woes. Should Mourinho fail to land Koulibaly, he will turn his attention to Tottenham's Toby Alderweireld, Inter Milan's Milan Skriniar and AC Milan's Alessio Romagnoli, according to London Evening Standard. Despite Manchester United's firm stance regarding holding on to Paul Pogba, the rumour mill hasn't yet ceased from linking him with a move away from Old Trafford. The Frenchman has been on Juventus' radar for quite some time, and now it seems the Old Lady have come with a new ploy to bring him back to Italy. According to Tutto Mercato Web via Express, Juventus could offer Alex Sandro with a sum of cash in exchange for Pogba. The reports of a swap deal have surfaced after United sent scouts to watch the Brazilian left-back in action against Young Boys in Juve's final UCL group stage game.